So, that’s it. If you followed this blog month to month to this end, I’d be impressed by your determination (stay tuned). ITMT I hope it’ll help you build your own house — someday. To that end, the Finish phase closes with a series of checklists used to think through any loose ends that might remain. 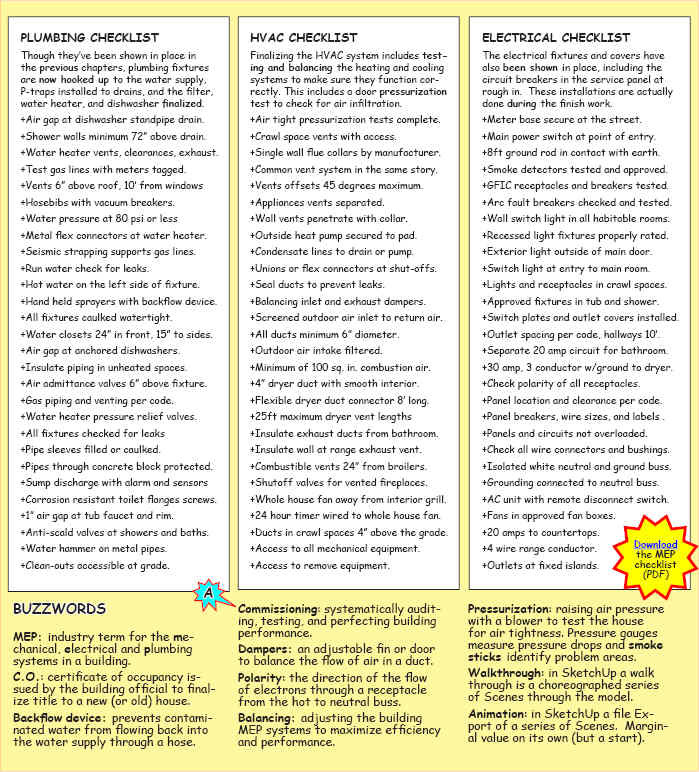 There is a checklist for each phase of the finish work: HVAC, electrical, and plumbing, and shouldn’t be confused with the construction checklists used during the construction process. In addition to the final checklists, “punch lists” are used to close out a construction contract and approve final payment to the contractor. 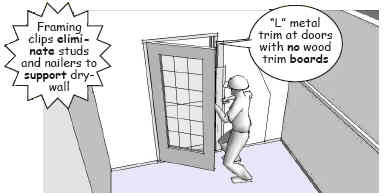 A punch list includes incomplete or incorrect installations and is prepared during a walk through with the owner and building contractor. The list is compiled and tracked with the help of punchlist software or spreadsheet templates. Final payment is withheld as a legally defined retainage until the work is completed according to the original contract agreement. Note that commercial structures, especially ones built for public use or with exposure to the health and well being of its users, must undergo a much more detailed commissioning process. FWIW here’s an early walk through of the construction model for this project. Adobe Flash or similar VLC media player is required. Most residential kitchens and bath cabinets are modular units, prefabricated assemblies, built to match standard cabinet dimensions and installed by finis carpenters. Modular units are laid out using kitchen and bath planners available online. These include online planners from the big box stores like Home Depot and Lowes, as well as websites like CliqStudios or National Kitchen and Bath Association. By far, the easiest and most intuitive cabinet design tool is the one offered by IKEA. 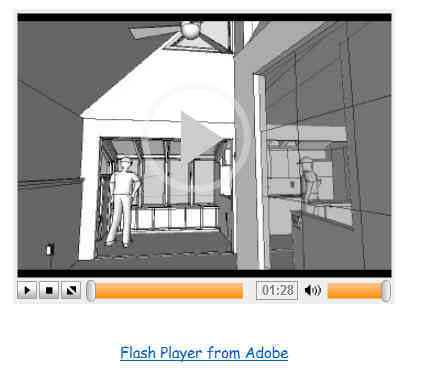 To aid customers, the company publishes Quick Start and Guide videos that make the kitchen and bathroom planning process completely intuitive. 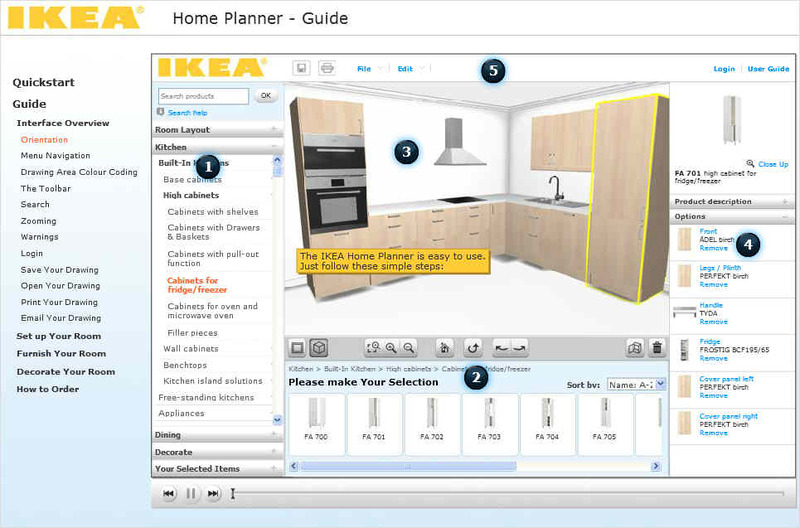 The Ikea planner uses a two and three dimensional graphic interface to visually guide the design. 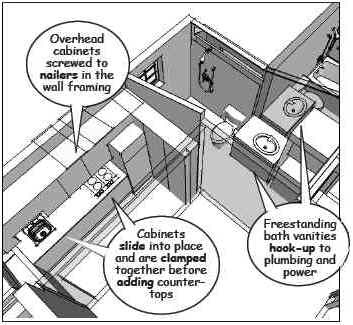 There are icons and menus to locate doors, windows, plumbing, electrical, and other features that need to be incorporated into the final layout. (Millimeter to feet converter). 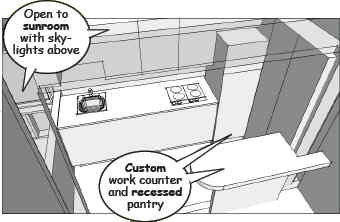 The planner also keeps a running inventory, along with the cost of the cabinets, to make it easier to order the cabinets (from any supplier). 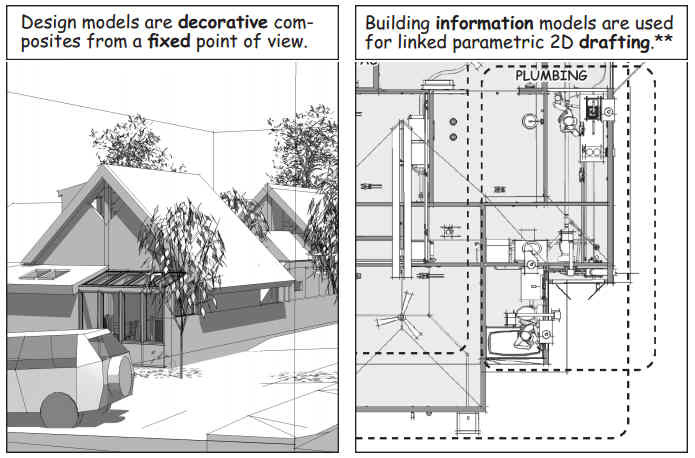 Plans and specifications can also be printed to guide the installation. Prefabricated cabinets reduce the cost of materials and installation. Their modular construction also makes it easier to coordinate their installation into the construction schedule. Because the cabinets are finished on all sides, they can be uninstalled and rearranged as the kitchen and bathrooms evolve over the life of the house. Note that countertops must be measured for sink cutouts, backsplashes, and other special features after the cabinets are installed. That means plumbing and electrical fixtures can’t be finalized or tested until the countertops are in place. Finish carpentry includes baseboards, chair rails, wainscoting, crown molding, shelving, cabinets and stairs. This kind of carpentry is not as physically rigorous as exterior construction and requires an entirely different set of tools and skills. Interior work is not normally regulated by building codes. 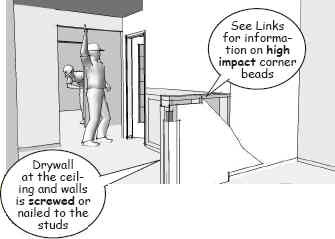 Exceptions include secondary structural installations, some types of materials, and hand and guard rails, balusters, and stair treads and risers (See Buzzwords). 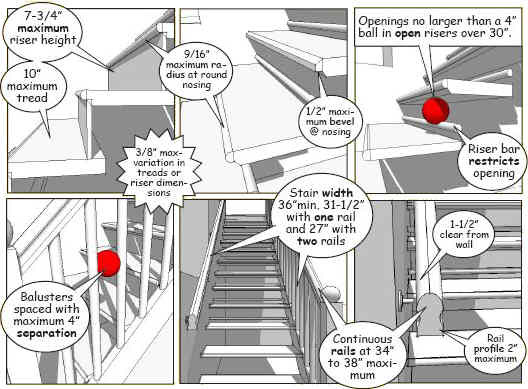 The Stairway Manufacturers Association provides detailed guidelines for stair manufacturing, including general codes and standards. Access stairs that are required for upper floors are usually built into the structural framing and approved by the local building inspectors prior to issuing a building permit, but there are also prefabricated stairs for installation by finish carpenters and wood workers. 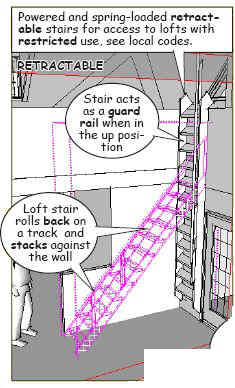 In this example, a prefabricated ships ladder is used to access the storage loft. The ladder is retractable and detailed on shop drawings for fabrication and installation. See websites similar to the Loft Centre for ideas and specifications. 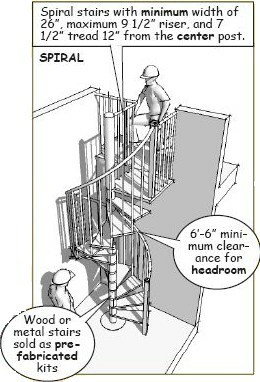 If the loft is to be occupied and space is at a premium, a circular stair is a good alternative to the ships ladder. Circular stairs are designed to meet all code requirements and are cut and assembled on site by metal fabricators to match field dimensions. The value of interior designers as opposed to building designers is that they find ways to increase the efficiency of a given space. For example, the space under a stair can be used for storage. But the installation of special features such as these must conform to local building codes. 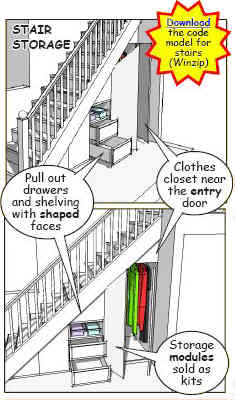 In this example, if there is not an alternate exit from the upper floor, built-in storage under the stair may be rejected as a fire hazard. The most common type of wallboard is drywall, also known as sheetrock, but there are many alternatives, including lath and plaster, paneling, plastic sheeting, fiberboards, and tile. Drywall is by far the best solution for residential construction. Drywall is a paper wrapped gypsum product, manufactured by companies like the National Gypsum Company. You can find detailed information about the different types of gypsum wallboard used in construction on their website. Residential drywall is typically four by eight feet and 1/2” thick, but it’s also available in ten foot lengths and as a 5/8” thick Type X material for areas that require fire resistance. Starting with the ceilings, the wallboard is lifted into place with a panel hoist and attached with specially designed drywall screws. The gypsum boards are screwed to the wall studs. 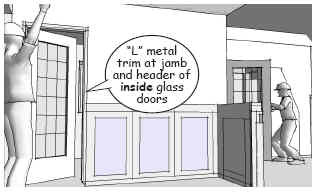 Galvanized metal corner beads are used to seal corners, as well as the door and window frames. 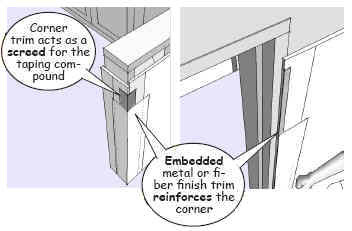 Alternate corner and edge trims include “L” or “J” plastics and structurally laminated materials for special conditions. The corner beads act as screeds for alternating layers of a drywall joint compound, also known as “mud.” Joints or seams between the drywall boards are “taped” using paper strips embedded in the same joint compound. The joint compound is applied in layers over the taped seams, corner trim, and drywall screws. It’s important that the drywall screws dimple the board and not penetrate the paper skin. Taping is not difficult, but it’s a technique that takes practice. 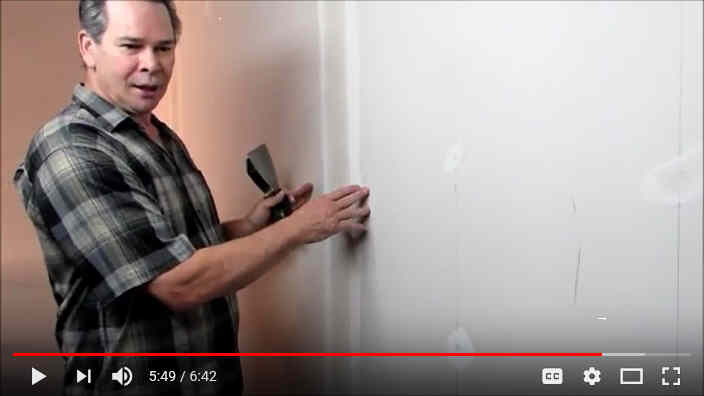 For more information, see Dean’s drywall tips for an overview of the tools used to finish the drywall. 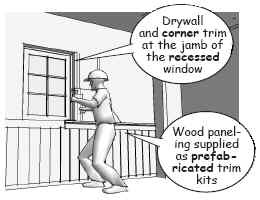 Paneling is installed over taped but unfinished drywall in high impact areas like dining alcoves, stairways, and playrooms that are likely to get bumped or scratched by furniture and heavy use. 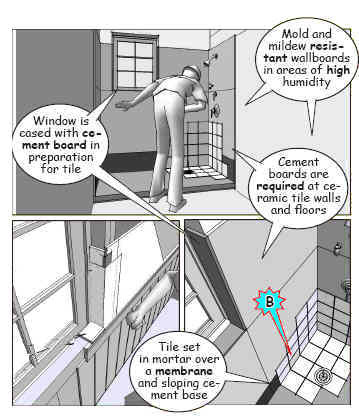 A special wax coated “green” drywall is often used in wet areas, but cement backer boards are used behind areas to be tiled, such as showers or baths. Because drywall is essentially a porous material, local building codes govern construction details to control moisture and prevent long term mold and mildew damage. On most projects, work continues inside the building at the same time as the sitework. 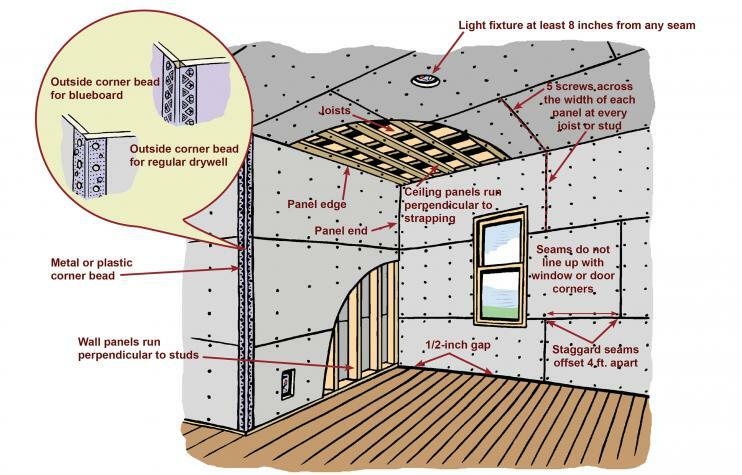 The interior work begins with wall and roof cavity insulation, sealing the underside of the floor joists, and expansive foam injected into the seams in the framing to prevent drafts and air loss. 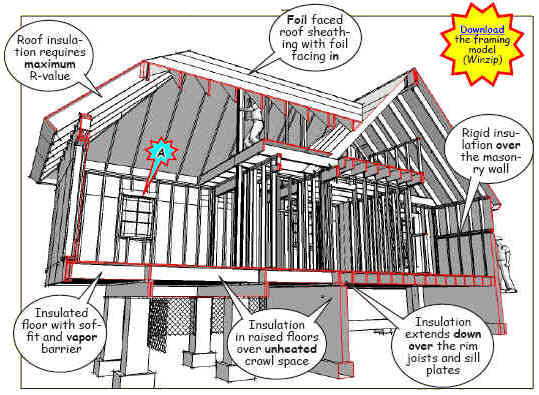 In this example, the roof rafters and ceilings are insulated with batt insulation. Foil and rigid insulation boards were laid on the roof’s upper surface at the same time the metal roofing was installed – see Roofing. 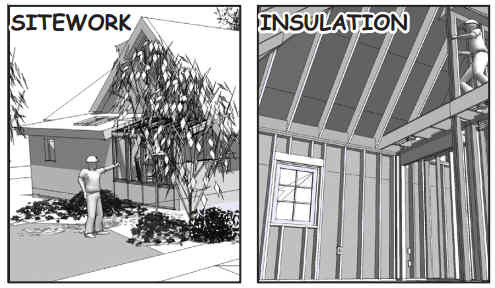 When a truss roof is used, the bottom chords of the trusses are filled with blown fiberglass. The wall cavities are filled with batt insulation or an expansive-foam. Rigid insulation was installed against the foundation walls prior to the excavation backfill. 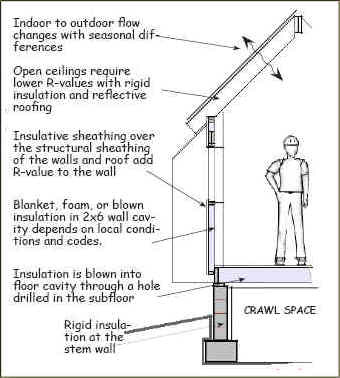 This wall section illustrates how heat is transferred through the ceiling, walls, and foundations of the building. Heat is conducted through the exterior surfaces over time. A warm room will lose heat to cold outside air and, conversely, a cool room will draw in heat from warmer outside temperatures. Insulation slows the rate of the heat transfer and the rate of the transfer varies according to the weather, type of construction, and total R-value of the exterior surfaces. 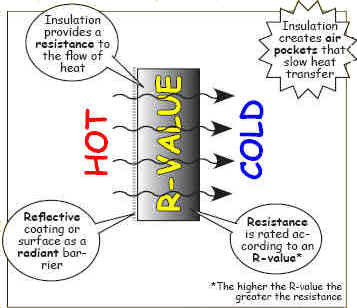 R-value is the measure of resistance to heat transfer. The greater the R-value the slower the heat transfer. 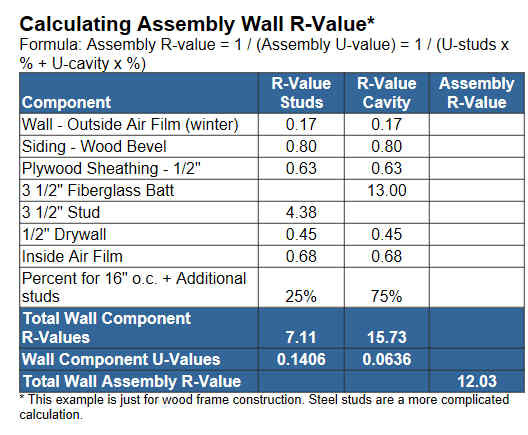 Every component of the construction adds to the total R-value, but only the insulation adds significant thermal resistance. Energy is expended by the building’s mechanical system as it adjusts the heating or cooling supply to moderate indoor air temperature. For complex structures, mechanical engineers use performance-based heat loss calculations to determine the size of the mechanical system. 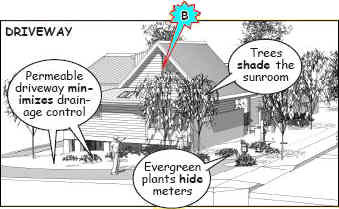 For standard residential construction a prescriptive code lists minimum R-Value for all outside surfaces. 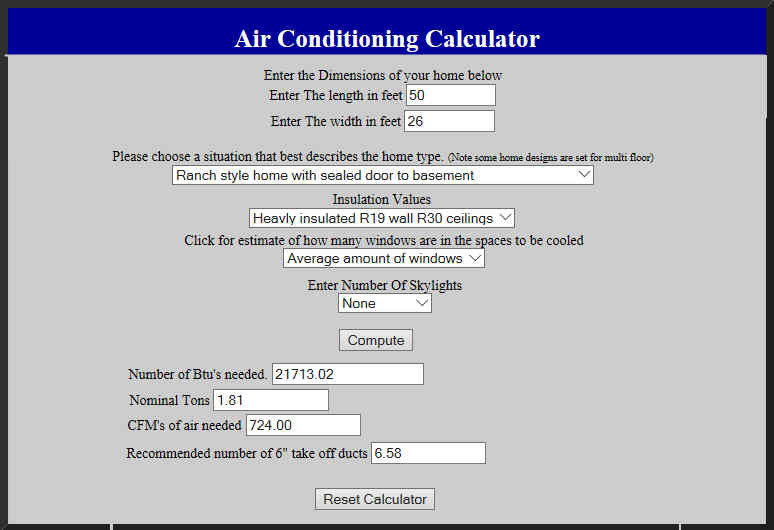 Calculations are then based on temperature differentials, volume of the conditioned spaces, surface R-values, and the size and location of windows and other openings. 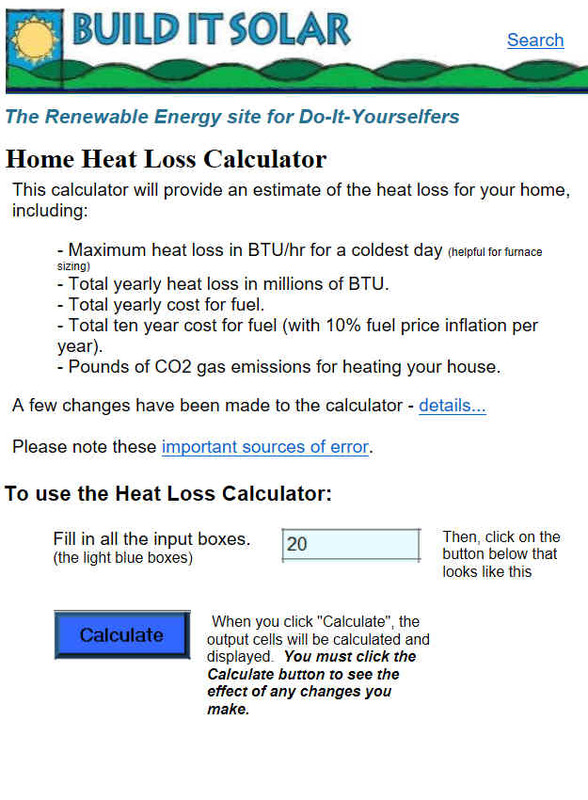 Heat gain calculations also take into account the number of occupants, solar exposure, equipment, and appliances. Heating and cooling requirements for the mechanical system are specified in British thermal units (BTU). 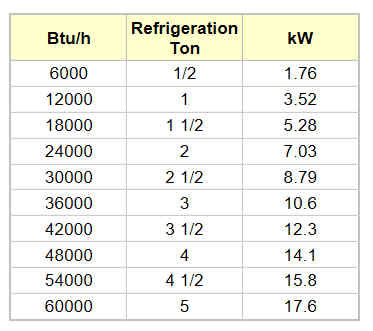 The efficiency of the system is measured as a Seasonal Energy Efficiency Ratio (SEER or ESEER). The higher the SEER ratings the less energy consumed. The finish phase for this building starts with a coordinated sitework plan. The plan includes final grading, paving, landscaping, and hardscape features like planters, fencing, steps, paths, and walkways. Hardscape features are usually installed by a landscape contractor along with the other landscaping. 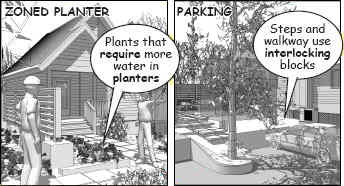 This work also includes an irrigation plan to supply the planters and outlying Xeriscape. Interlocking modular blocks are placed to retain the soil at the planters, walkways, and steps. Planters that capture rain water and snow melt are designed to wick away moisture through weep holes or openings at the base of the retaining wall. Permeable paving at the driveway allows moisture from rain and snow to leach through the paved areas into the ground below. 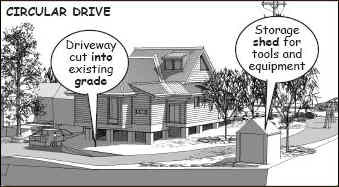 When a driveway is cut into an existing grade, the surface is sloped to drain away from the house and into landscape areas that border the property. Drainage systems are engineered according to local weather, soil type, and terrain. 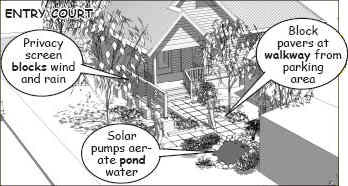 Local codes require run off from roofs and driveways be controlled to prevent drainage onto adjacent properties. Depending on the drainage plan, the low point of the driveway may require a sump or trench whenever flooding is possible. A privacy screen blocks sight lines as well as wind and rain at the entry courtyard. 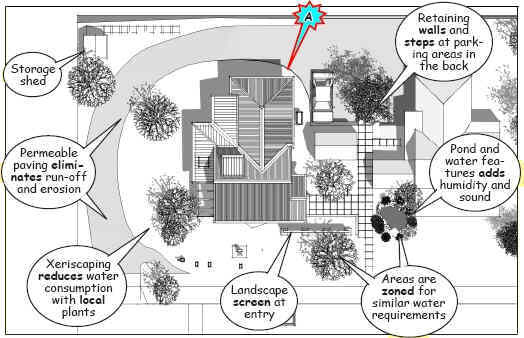 Note that access to the house is softened by the planters and paving at the entry. The finish phase for this house includes the sitework, insulation, wall board, furnishings, cabinets, and mechanical, electrical, and plumbing (MEP) fixtures and trim. From the start of this phase, contaminants, flammables, and smoking are no longer allowed in the building. The sequence of the work varies according to site conditions, contractor availability, and the specified interior details. To prevent conflict or damage while the sitework is underway, staging areas and pathways are marked for subcontractor access. When all work within the wall cavities is complete, insulation is installed to seal the frame and the walls. Wall board installation includes a variety of types of drywall, plaster, cement boards, tile, paneling and trim. Furnishings include shelving, flooring, baseboards, mirrors, crown molds, stairs, rails, and related finished carpentry. The cabinets are installed over primed or painted surfaces. 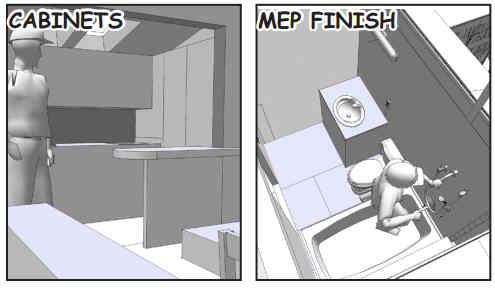 At the same time, MEP fixtures and trim are fitted and tested. These include electrical equipment, outlets, lights, wall plates, as well as hot water heaters, sinks, control knobs, and water closets. After inspection, final power and water are hooked-up by the public utility companies. Testing and operational checks begin once the contractors have finished and the building is cleared of debris and cleaned for occupancy. Why a construction model ? 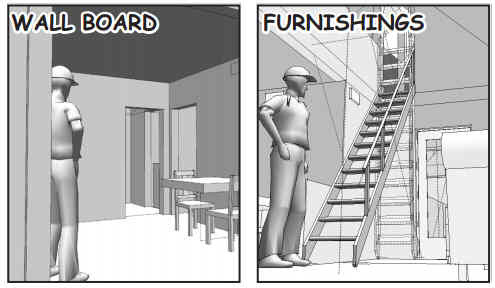 A 3D design model illustrates a static concept. 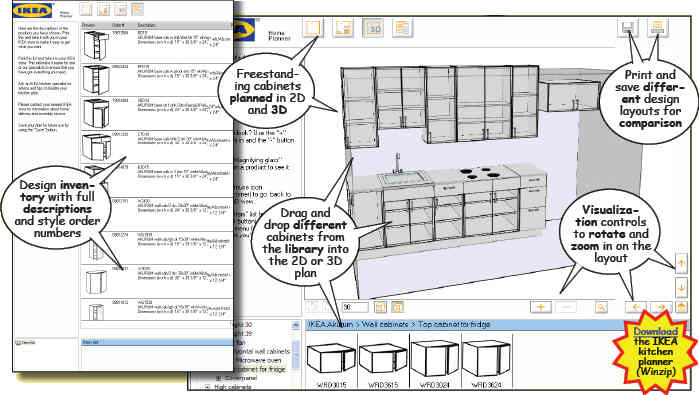 A 4D building information model (BIM) is put together to publish and print a set of specifications, 2D contract documents, and material takeoffs. 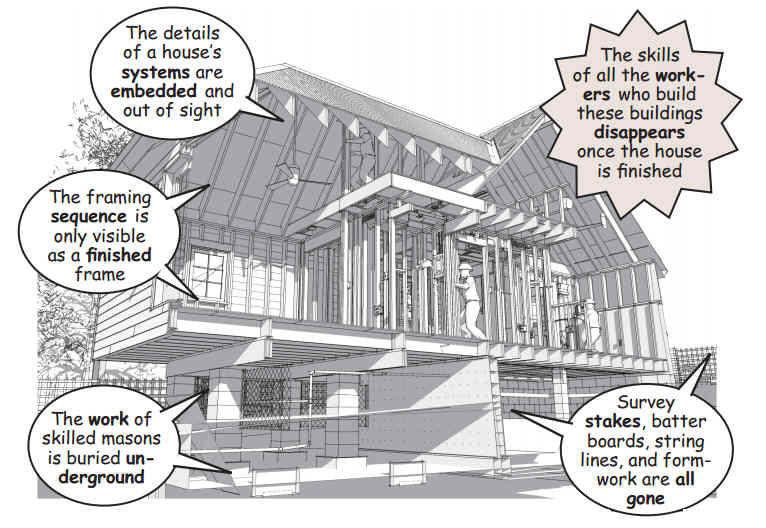 A construction model is a piece-based assembly used to simulate a dynamic process. It animates site utilization, resource planning, site safety, staging, falsework, scaffolding, and of course the sequence of construction. 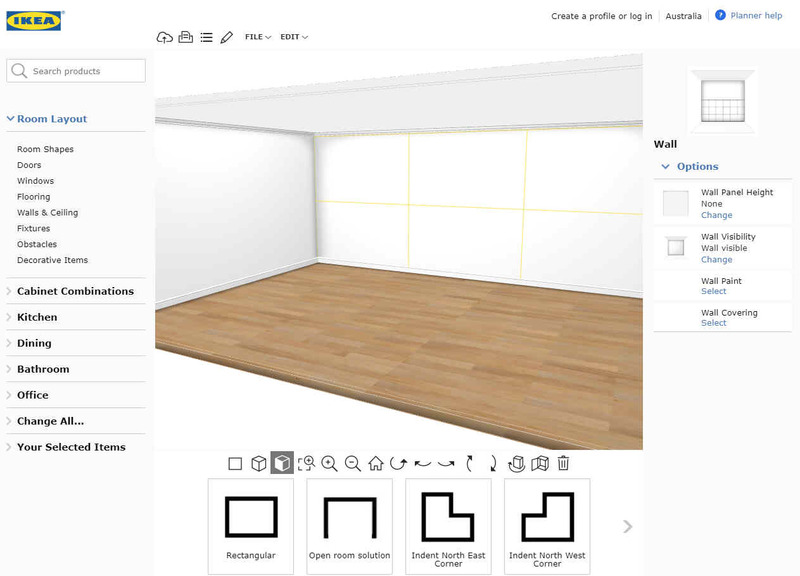 As a construction model, it is a hands-on tool that can be annotated or streamed as video delivered to the jobsite as an interactive virtual environment. 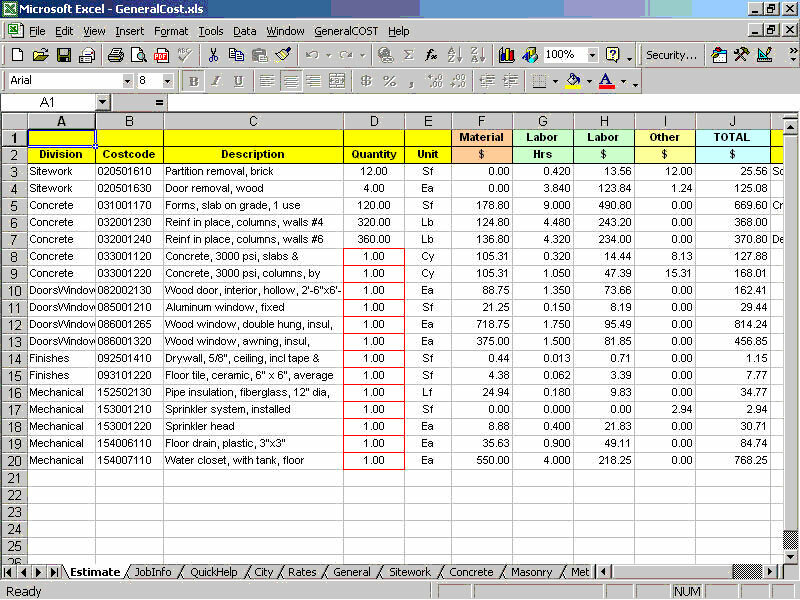 The result bypasses the printed page to deliver proprietary project information throughout the construction process.